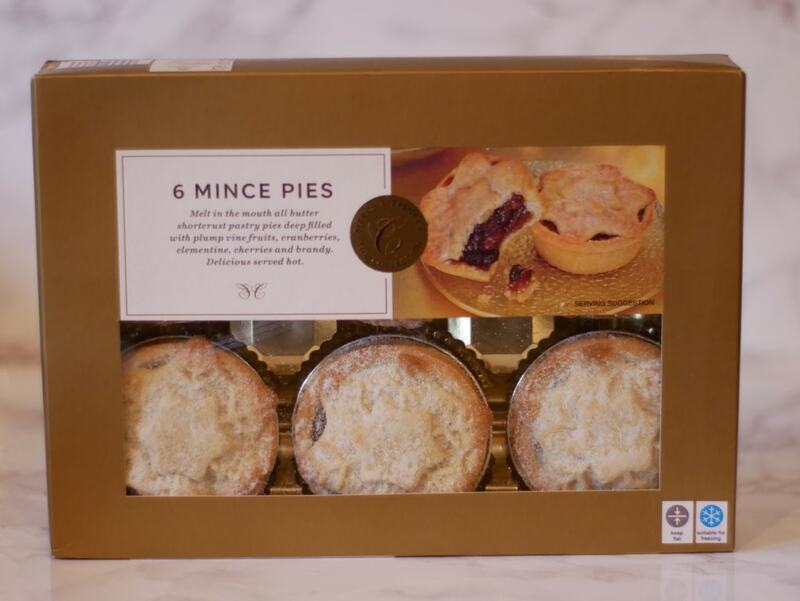 Marks and Spencer food at Christmas has been a tradition in my family for as long as I can remember. 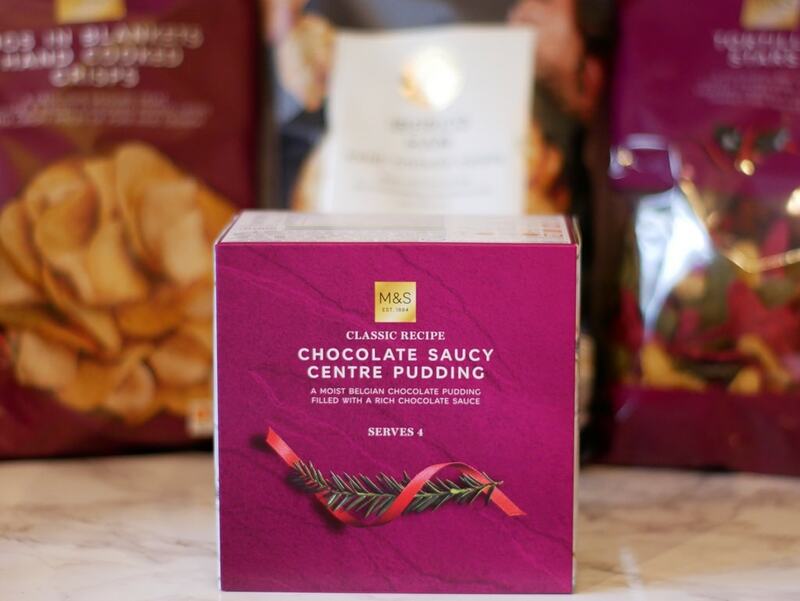 My mum has always shopped for food at M&S and still does once a week – she always picks us up our favourite little treats when she is there too like their slab of Cheese and Tomato Pizza, Chocolate Fudge cake & Milk Chocolate Rounds. I have many a memory of walking around the M&S foodhall as a child gathering my favourite treats as we went like the Swiss Chocolate Mountain Bar and a Bubbly Bar! When M&S got in touch to ask if I help them promote the new foodhall opening in Walton On The Naze I jumped at the chance to help! Marks & Spencer will be opening the doors to its newest Foodhall in Walton-on-the-Naze on 28th November at 10am led by Store Manager Lisa Johnson. M&S Walton-on-the-Naze will also offer the full range of M&S Clothing & Home products via its Collect in Store service. Customers can opt for next day pick up if they order online by 10pm the night before on M&S.com and the store will also offer hassle free returns. I trialled the M&S click and collect service at our local store and it was so easy, I simply loaded my online basket with the items I wanted and then checked out selecting click and collect as the delivery option. Click and collect orders are available to collect from 12 noon on the day; I selected the day before I was going to collect as my delivery date so that I could pick up my items earlier in the day – they hold them for 7 days so there is no immediate rush to collect once you have placed an order! I ordered some matching festive pyjamas and we are all thrilled with them – the quality is lovely and Lily absolutely loves being able to match Daddy! Marks & Spencer also wanted us to sample some of their Christmas Food range and gave us a £50 gift card to spend whilst in store. The manager kindly showed us around some of their latest collections and talked about some of the products that were in the TV advertising campaign. The manager also explained how some selected products have been chosen to be a Christmas 3for2 to reduce the price point for customers. Marks & Spencer know how to do Christmas Food and we had a lot to choose from. We picked up some fine chocolates, festive shaped chocolates, mince pies, festive party favourites such as pigs in blankets & Beef filled Yorkshire puddings as well as grabbing a buy one get one free bargain on Christmas biscuits. We picked up some brandy snaps, Yule log and special festive crisps with flavours such as Pigs in Blankets, Iberico Ham & Tortilla Stars. We chose some mini Christmas puddings – perfect for those who are eating on their own this Christmas or those like us where only one member of the family likes the traditional pud! I was peckish looking at all the amazing food so also picked up a festive sandwich. We also treated ourselves to our favourite box of M&S Swiss chocolates! We went a little over budget and spent £75 but the food has been amazing quality and a really lovely treat to have at this special time of year. If you live near Walton on The Naze feel free to enter our competition over on Twitter where you can win a £50 M&S voucher to spend in the new Walton on The Naze Foodhall. 10. The winner’s contact details will be passed to M&S and its representatives to process the prize and will not be used for any other purposes. 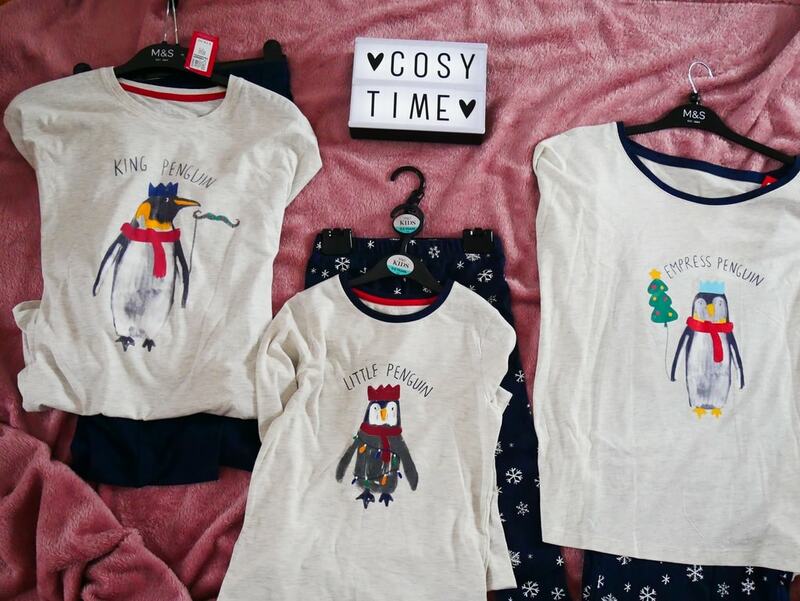 Disclosure: We were gifted M&S pyjamas and 2 Gift Cards in exchange for this honest review. [AD] Christmas Gift Guide To Pamper Busy Parents!